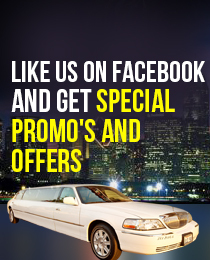 Searching for someone who can provide you a satisfying limousine service in Hawthorne? Your search ends here – ULC is known for its incomparable limousine service in Hawthorne and caters to any special occasion, which includes wedding ceremonies, anniversaries, concerts, airport transportation, corporate travel, bachelor/bachelorette parties, school event, nights out, holidays, business chauffeuring, sports events, sightseeing tours, and any other special events. The chauffeurs are professionally trained and certified and are capable of providing a safe, efficient and friendly atmosphere to travelers. Our Hawthorne limo rentals are equipped with technologically advanced tracking devices and offer an efficient and comfortable experience. The computer-aided control center and the highly efficient chauffeurs differentiate our limo rental service in Hawthorne from other similar services in town. ULC’s limo rental service in Hawthorne has taken on-road luxury to a completely different level, with its immaculate fleet of stylish, smooth and sophisticated limousine models. You name your favorite limo model and our professionally trained chauffeurs will reach the pick-up spot on time and ready to serve your every need. Check out our limo rental service in Hawthorne today and we promise you a fascinating experience! Which Hawthorne Limo is Right For You?